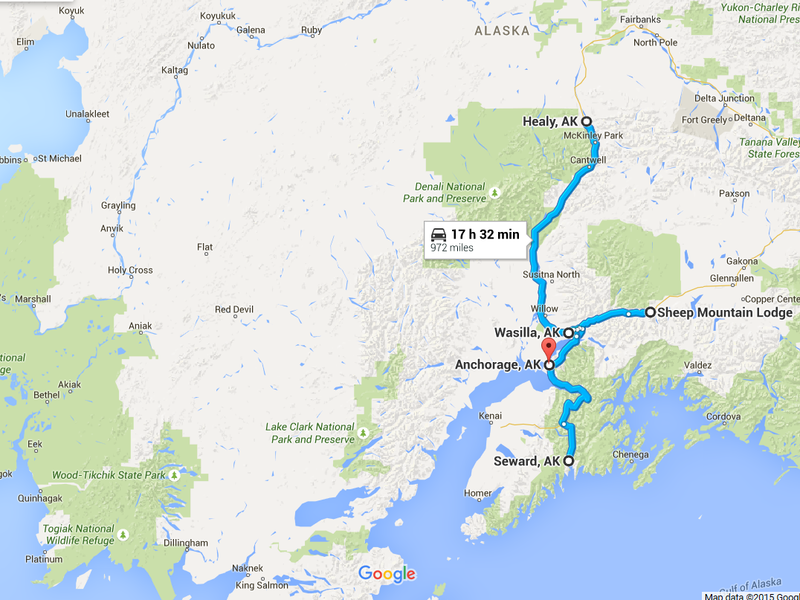 After returning from St. Paul Island, we stayed within driving distance of Anchorage for the next week. 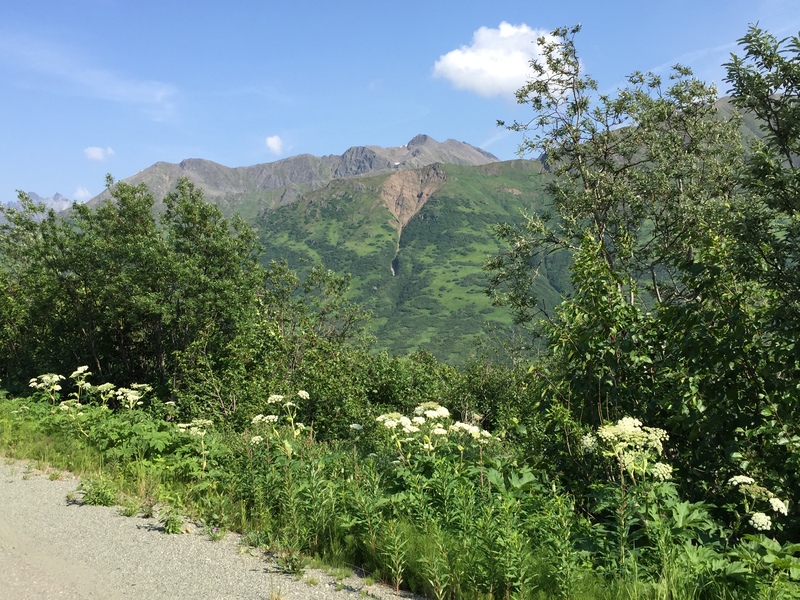 On June 18, most of our group drove 175 miles up Glenn Highway to the Tolsona Wilderness Campground where a family of Great Gray Owls had been observed for several weeks. I would have liked to see the owls, but I opted to go with my roommate, Ellen, to retrieve her car from a friend’s house in Wasilla. Ellen’s car would be part of the caravan transporting our 22 birders for this part of the trip. We got the car and then headed on up the highway to meet the others. Ellen and I found the only Northern Flickers of the trip while searching for a Northern Hawk Owl. 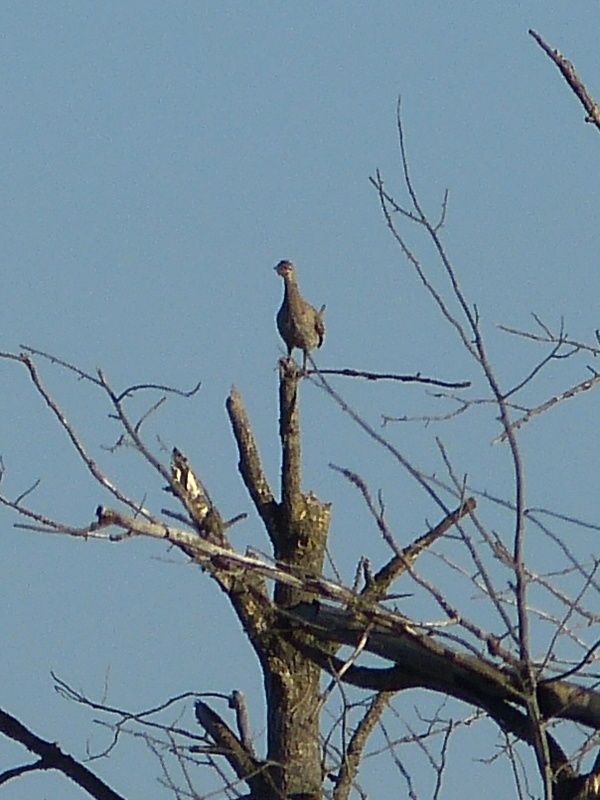 The flickers were the yellow-shafted sub-species rather than the red-shafted form of Northern Flicker found in the west. The photo below was shot by wildlife photographer Michael Quinton in Alaska. 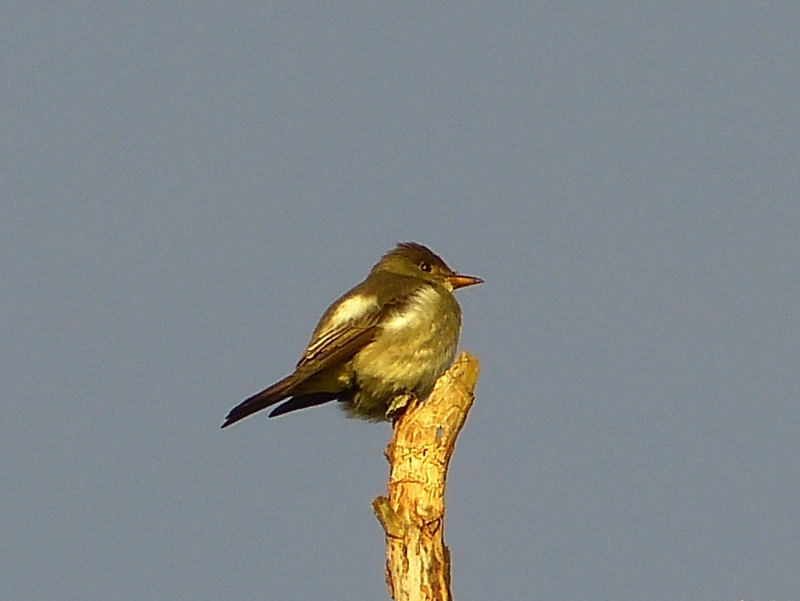 For more of Michael’s beautiful work, see his blog, Journal of a Wildlife Photographer. 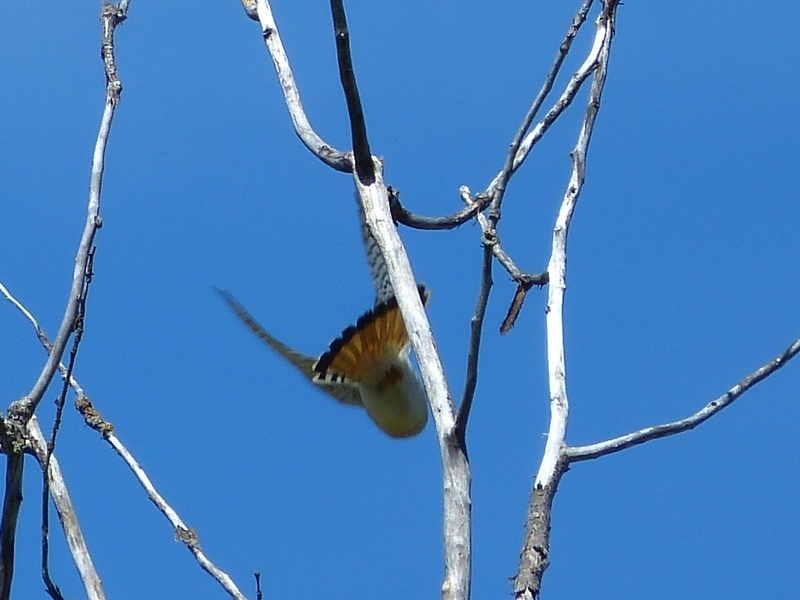 I was surprised to see the yellow-shafted form of the Flicker, but trip co-leader, Dave Hursh, explained that many birds in Alaska are the eastern sub-species. The eBird map below for Yellow-shafted Northern Flicker shows how the range sweeps west and north. 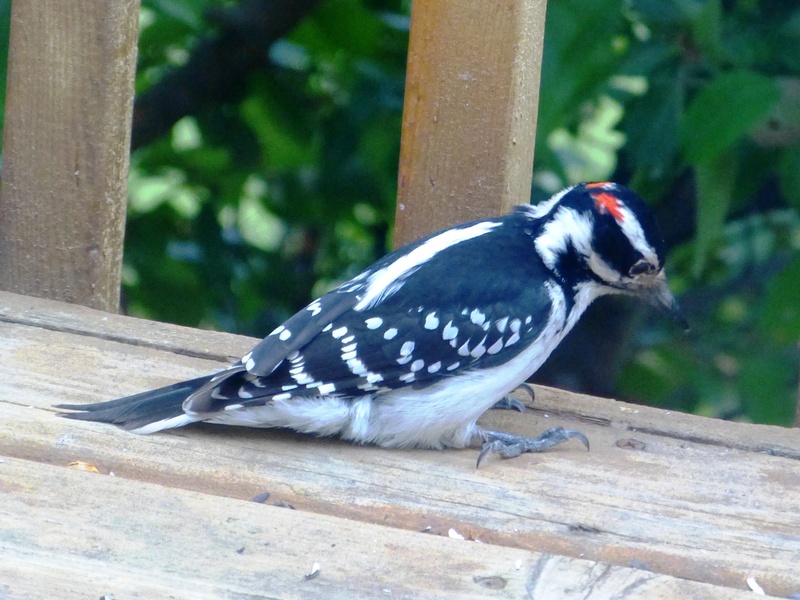 The red-shafted form occurs in the west and does not go as far north as Alaska. Yellow-rumped Warblers show similar range patterns with our eastern “Myrtle” warblers common in Alaska and their western “Audubon’s” counterparts staying farther south. 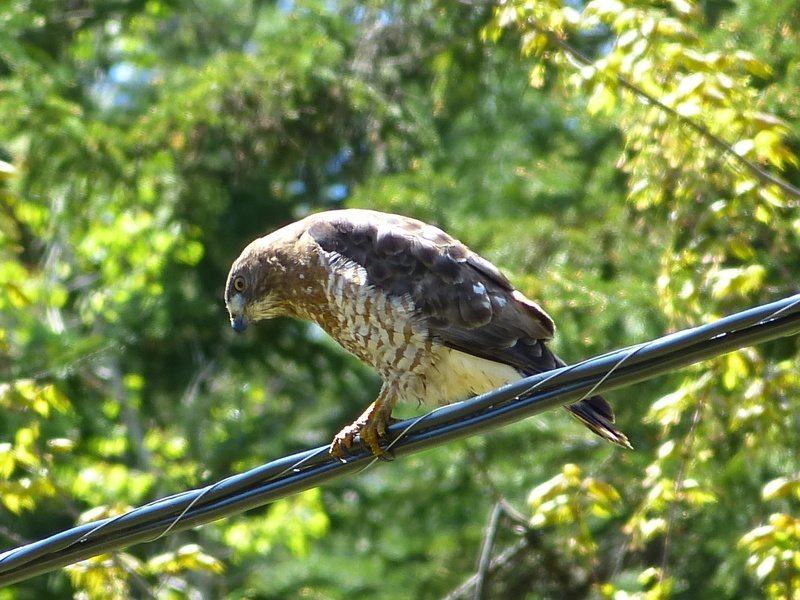 We met the rest of our group a little later just after they had found the Northern Hawk Owl sitting on a telephone wire and everyone got great looks. 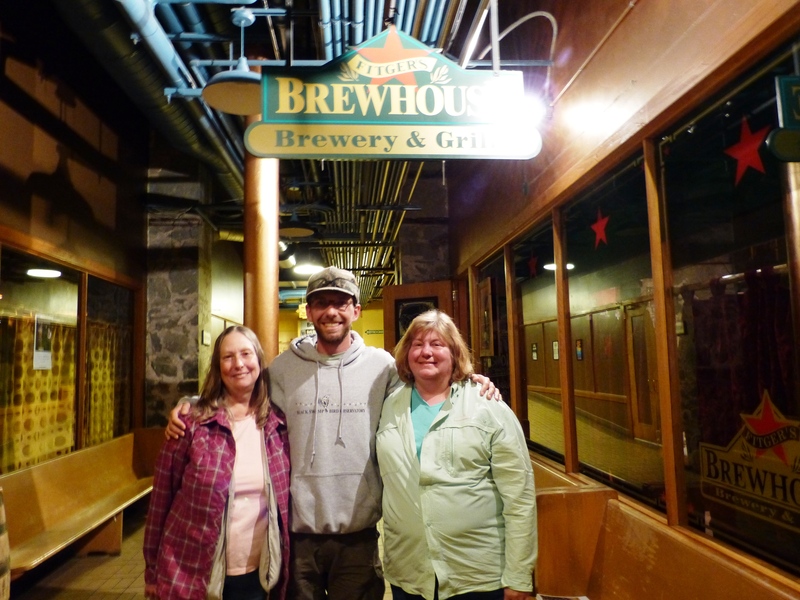 The day ended with a delicious dinner at Sheep Mountain Lodge and the drive back to Anchorage. 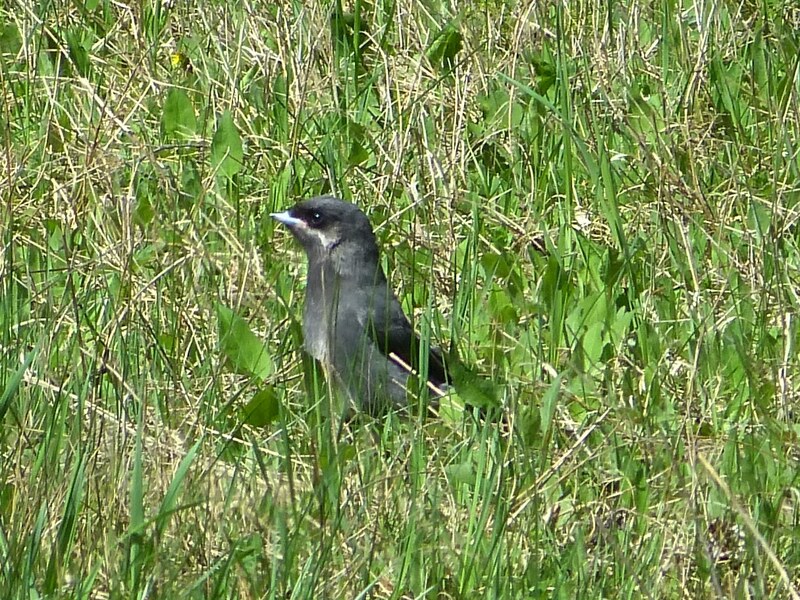 The next day we drove to Seward, birding along the way. 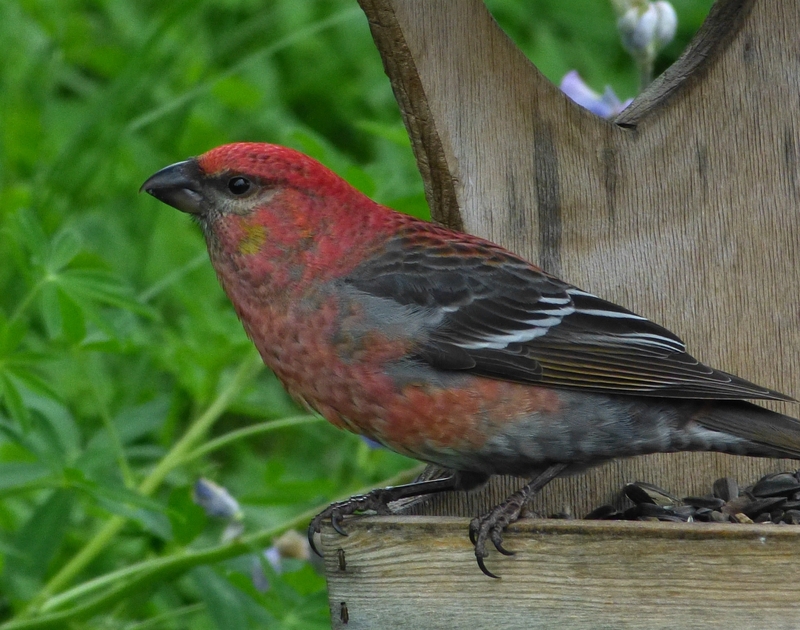 One of my favorite stops was just outside of Seward at Ava’s Place, a yard with numerous feeders and an owner who welcomes birders. 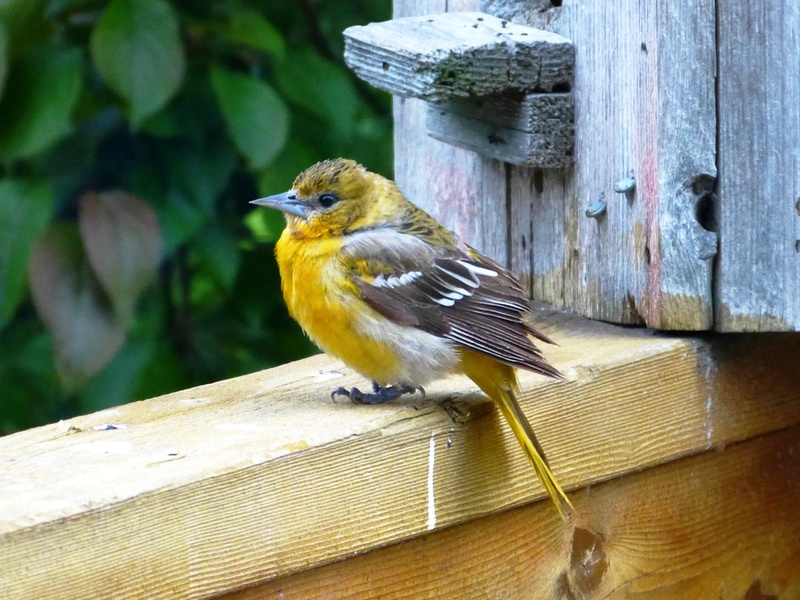 There was constant activity in the yard with an estimated 30 Pine Siskins and about a dozen other species. 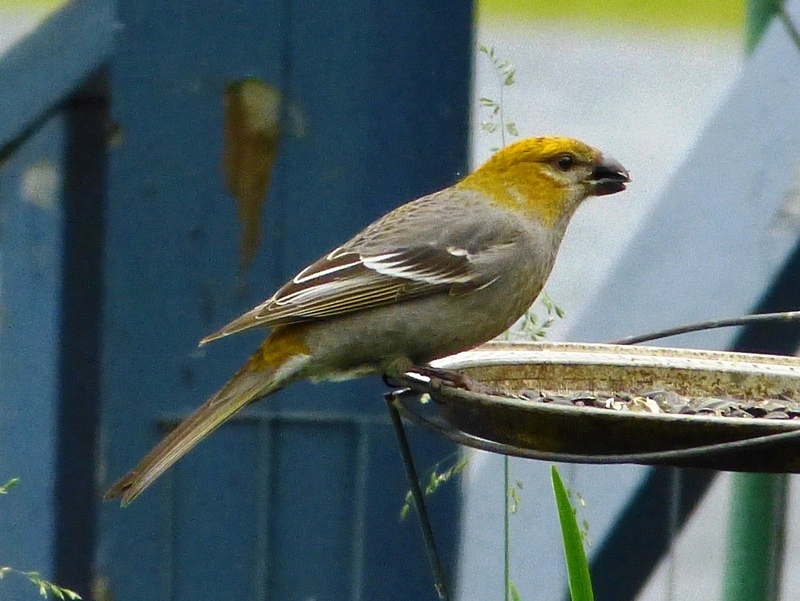 I especially enjoyed the Pine Grosbeaks – males, females, and juveniles. The reason for our visit to Seward was to take the 9-hour Northwestern Fjord tour. It was a wonderful cruise, 150 miles round trip that went deep into Kenai Fjords National Park. I have to confess, though, that the Northwestern Glacier itself was underwhelming, even downright disappointing. I think that I had expected it to look like it did 100 years ago, but the glacier has retreated over 6 miles in the last century. The photos below show the view in 1909 and again in 2005. 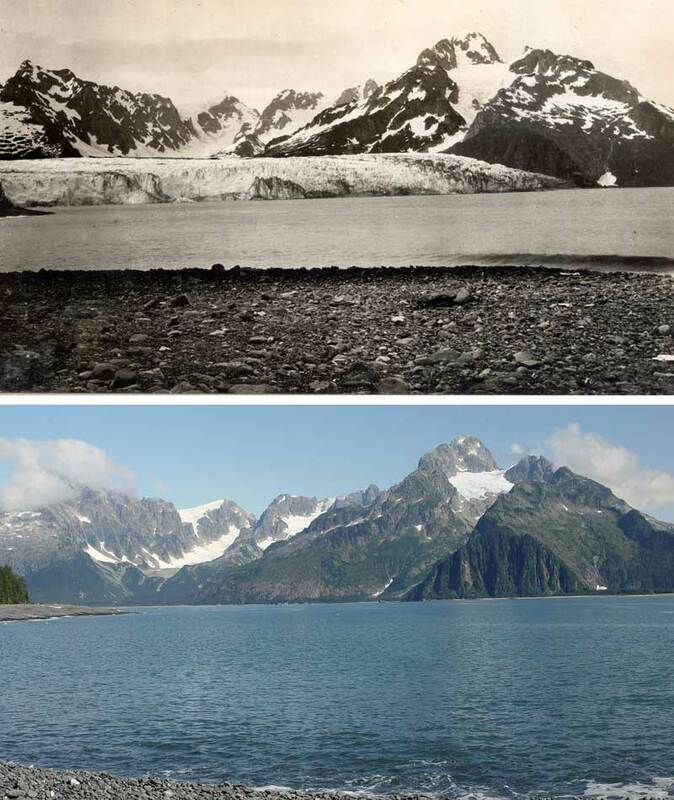 Most other glaciers in Alaska and elsewhere are also rapidly melting, evidence of global warming accelerated by human activities. The day was very overcast and I had visual difficulty with my transitions lenses that darkened too much. But, I couldn’t see well without them either because they had the prisms that corrected my double vision. 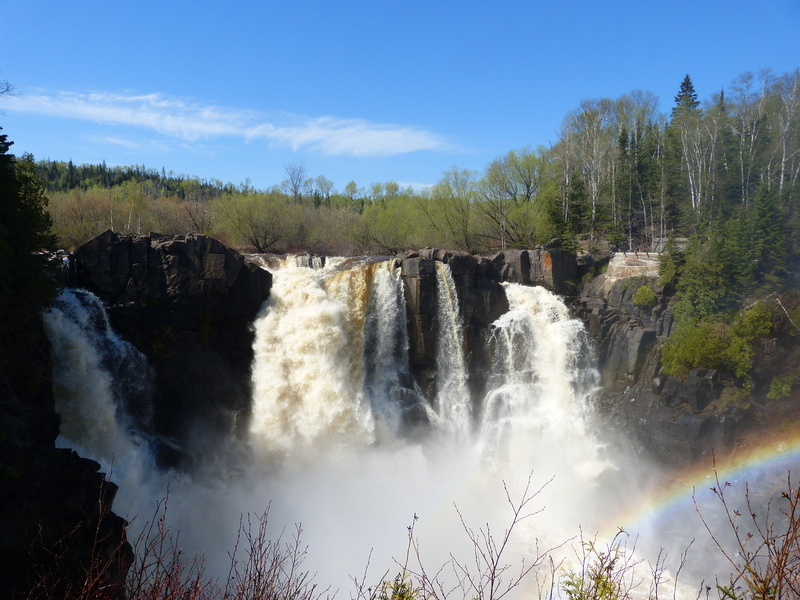 Even so, I enjoyed the wildlife and beautiful landscape. The highlight for me was a Humpback Whale that we observed “pec slapping.” We speculated about the behavior, but back home a little research suggests that it’s a form of communication. The whale swam on the surface of the water slowly and repeatedly lifting and slapping it’s massive 15-foot pectoral fin on the surface of the water. It was quite impressive! We also observed the whale breech, almost completely clearing the water, for a thrilling finale. 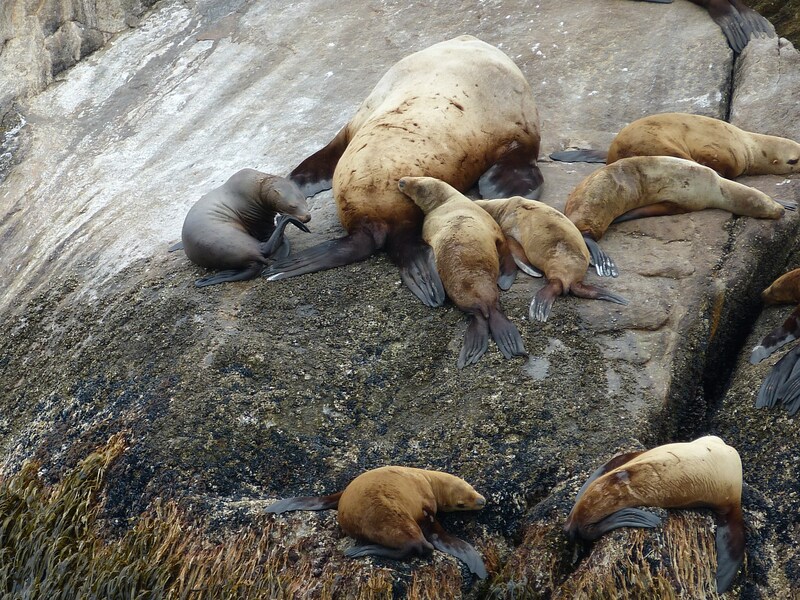 Unfortunately, I did not get a photo of the whale, but I did get a photo of the Steller’s Sea Lions below. 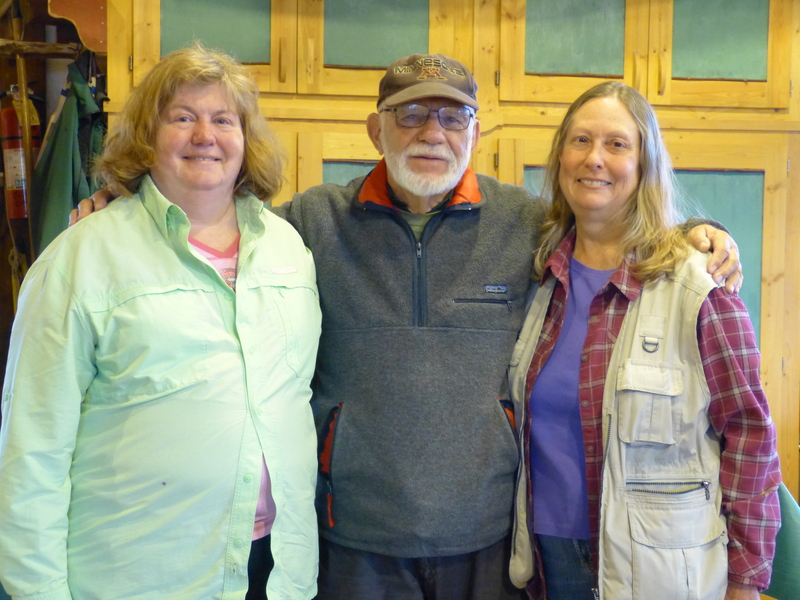 After Seward we made the long drive to Healy, our base for exploring Denali National Park for two full days. We saw birds in Denali, but the highlights there were mammals. 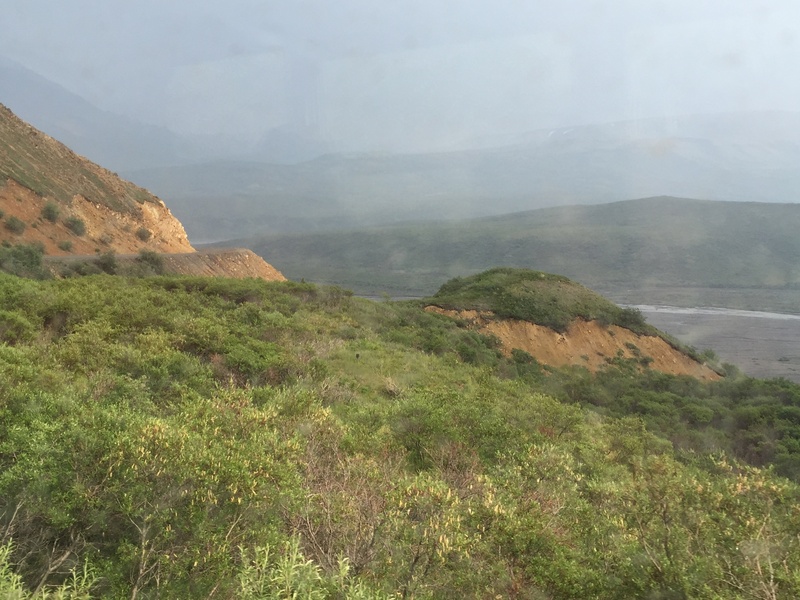 We saw all of the “Big 5” – grizzly bear, caribou, moose, Dall sheep, and wolf. Four of the five are pretty reliable, but we were very lucky that most of us saw two wolves right on the road. The wolf population has declined in Denali in recent years. 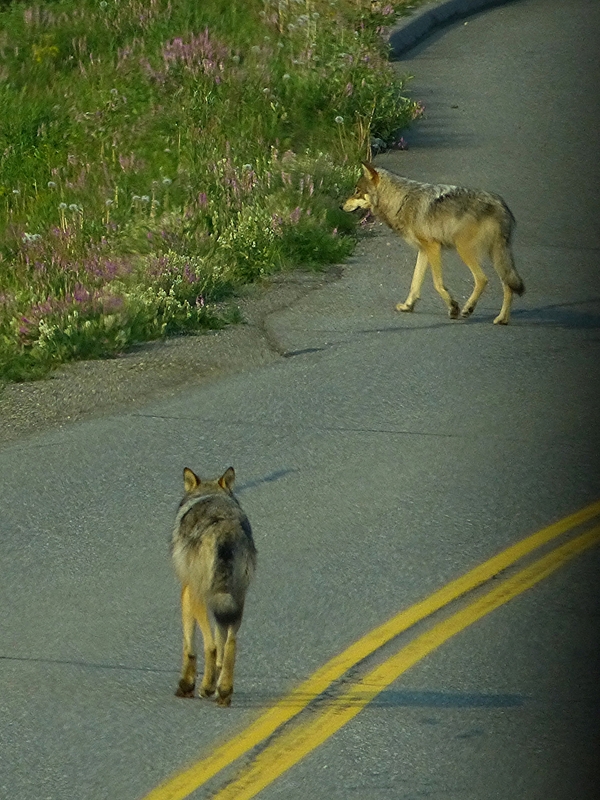 Numbers reached a record low this spring with an estimated population of just 48 in the park’s 18,820 square kilometers of wolf population area. 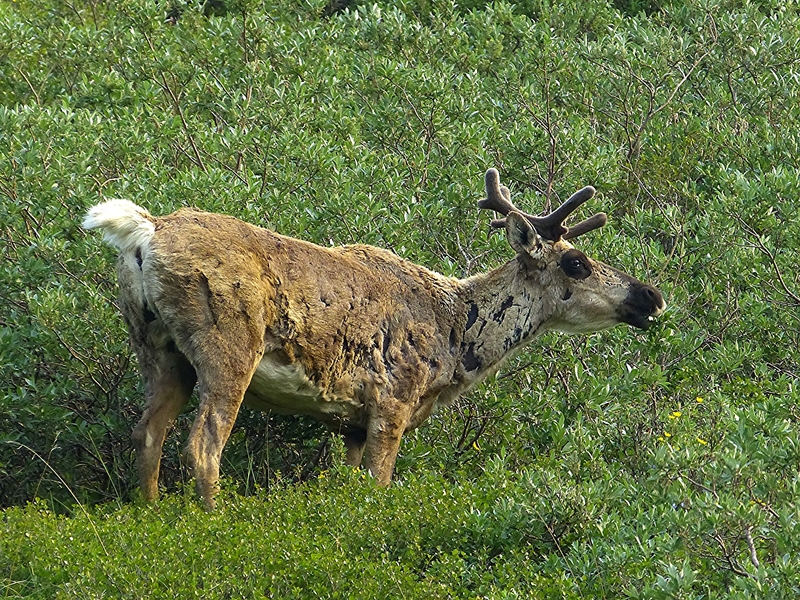 We saw several caribou, most scruffy like the one in the photo below. 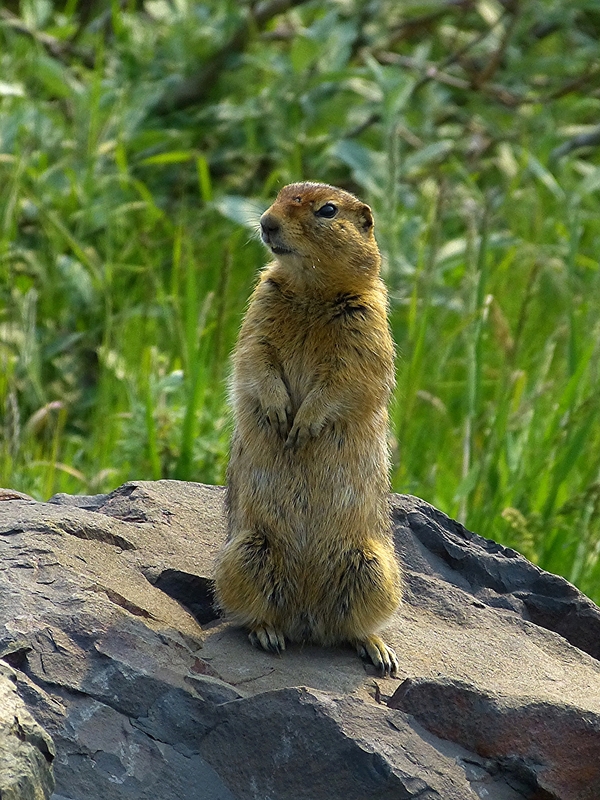 I also enjoyed seeing smaller mammals like the Arctic Ground Squirrel. I asked the bus driver to stop so that I could get this photo. He seemed to think that I was the only one who was interested, but I saw several other cameras come out for this cute little rodent. Wildflowers in Nome and the Pribolof Islands had been mostly small tundra species except for the lupine and wild celery. Larger showier flowers were common around Denali and on the Kenai Peninsula. 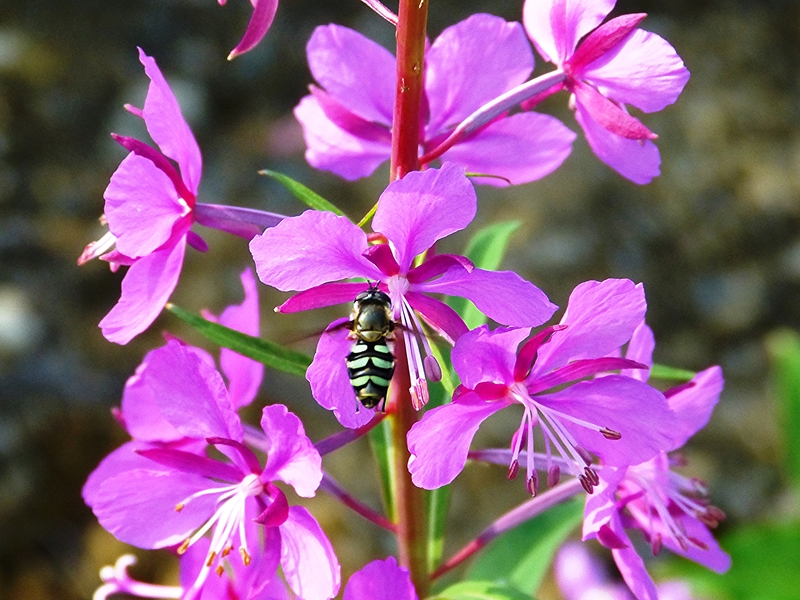 I loved the beautiful Fireweed. I never got tired of Ptarmigans. 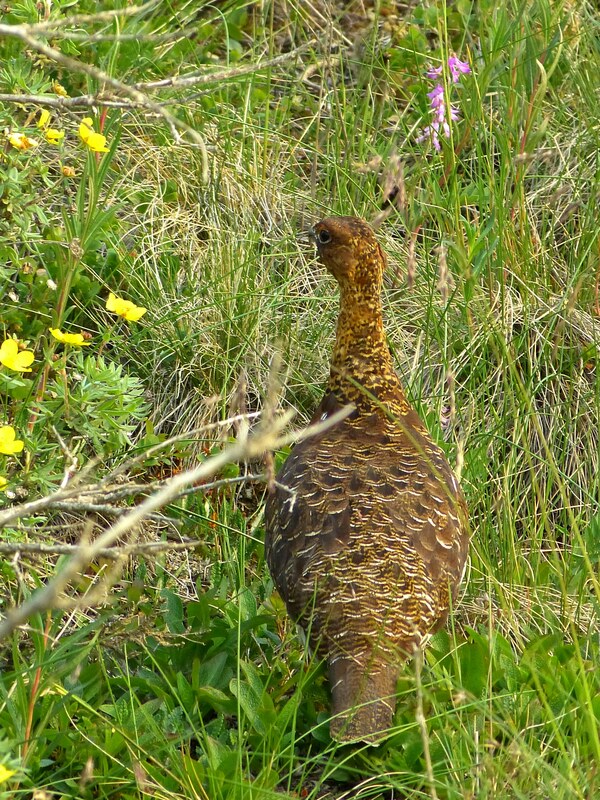 We watched this female Willow Ptarmigan scramble up a hill followed by several small chicks. 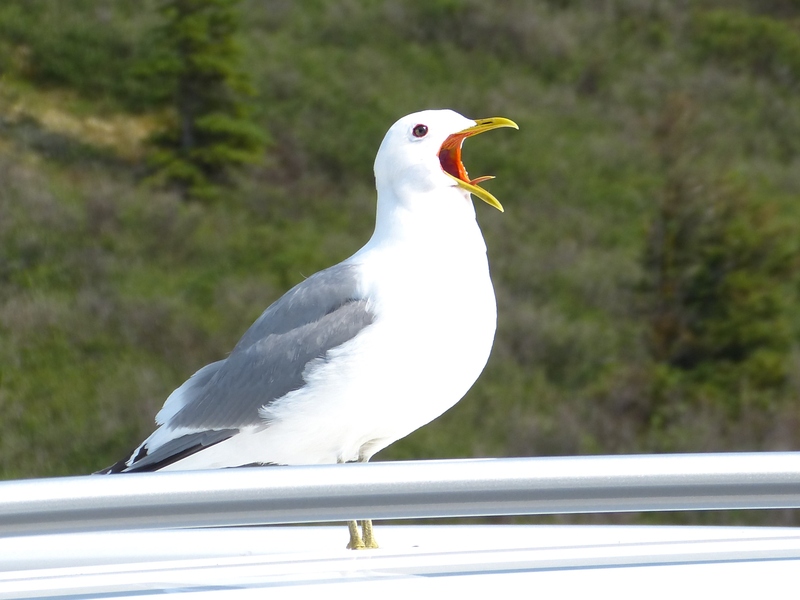 Mew Gulls were very cooperative photographic subjects. This one perched atop a car in a parking lot and I was able to walk right up to it. 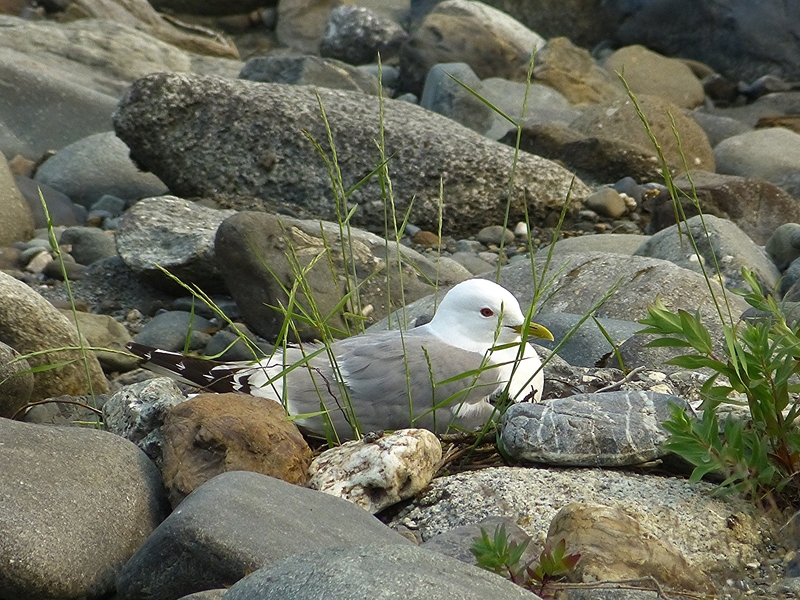 And, here is a female Mew Gull on her nest by the side of a river. 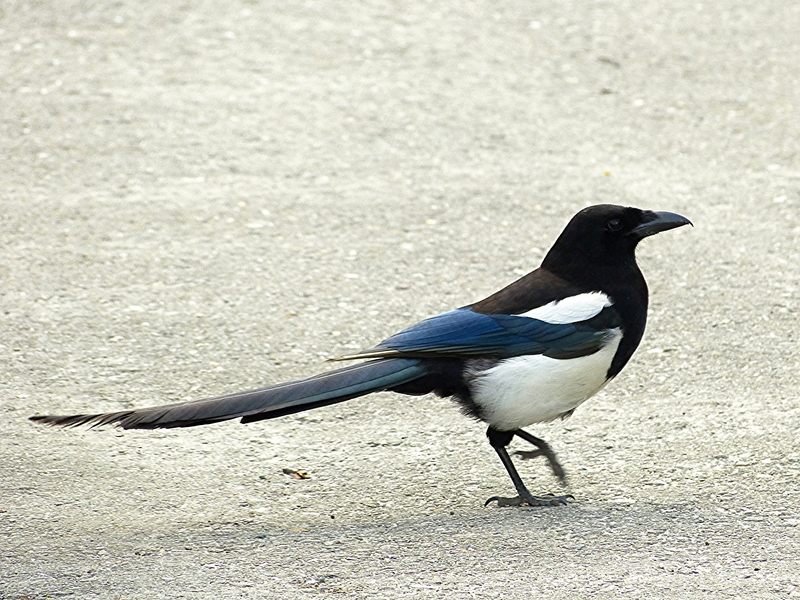 Black-billed Magpies were big bold subjects for the camera. This one was in a parking lot. They were rather common, but they were always fun to see. 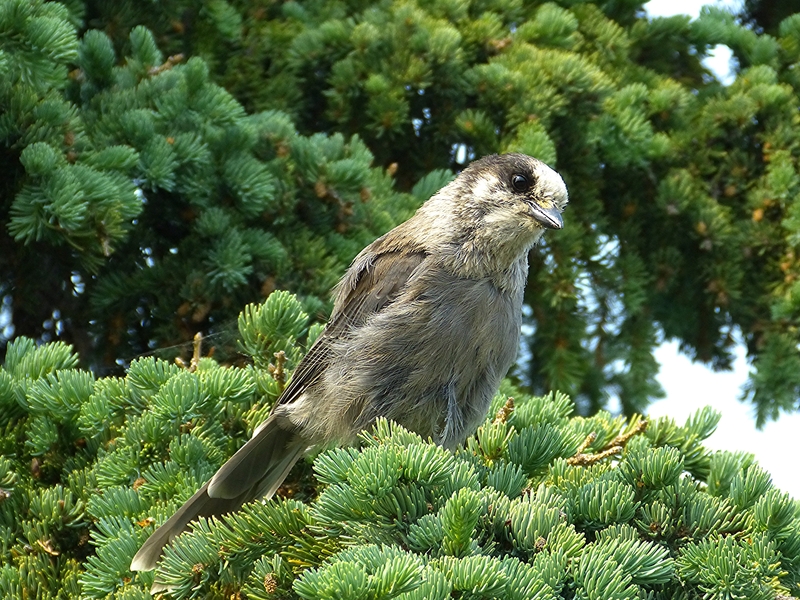 Gray Jays were bold, too, and we enjoyed several near a picnic area at one of the stops on our all-day bus ride in Denali National Park. 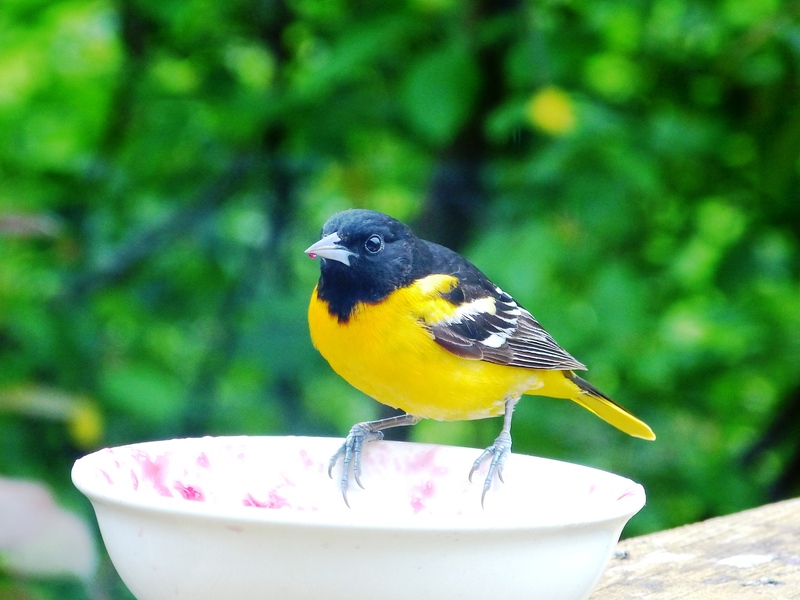 It is illegal to feed the birds, but based upon the way they were looking for handouts, I’m sure that they had previous experience with snack-sharing law-breaking visitors. As in every part of the trip, it was over all too soon and we drove back to Anchorage. In the photo below, taken on that drive, you can see the ubiquitous wild celery in the foreground.